The front bar is busy for televised football, a few groups are eating at the rear. A Wychwood beer is also available. Redemption - Big Chief 5.50 A strong and fresh IPA. A relaxed early evening pint. Howling Hops (Brewed at Hackney Wick) - Tropical Deluxe 3.80 Hazy gold. Sharp, juicy and tropical-juicy. Late evening visit. Quite boisterous in the front bar. Redemption - Big Chief 5.50 My first encounter with the Big Chief for a little while, and it’s on great form. This pub has for long benefitted from a busy matchday trade when Leyton Orient are at home. 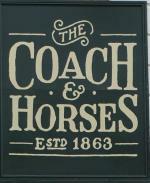 The new management have made it clear that it is to be a ‘home fans only’ pub (it has long been the pub of choice for visiting spectators – O’s fans knowing better than to come here). Today is the first test and they are rewarded with patronage by some of Leyton’s finest. By 8pm it is quite rowdy, the staff are looking anxious and there is not much beer left. Redemption - Hopspur 4.50 On stunningly good form and I have a couple. Great to see this pub revived. It has prime position in Leyton, but had more or less run out of customers in its sorry state. Jammed full of people tonight. Four different Leyton breweries are represented on the bar and I tried at least one from each. Signature Brew - Roadie - All Night IPA 4.30 Very pale and hoppy. A current favourite of mine. Neckstamper - Elbow Crooker 4.00 From key-keg. Hazy gold, juicy and lovely. East London (ELB) - Cowcatcher 4.80 Golden and bitter. East London (ELB) - Mandarina Session Pale 4.10 Golden. Quite sharp and bitter. Nirvana - Karma 1.00 (Strength of beer actually 0.5%). Poured from a bottle. Dry, woody, thin and spicy. I didn’t like it at all. 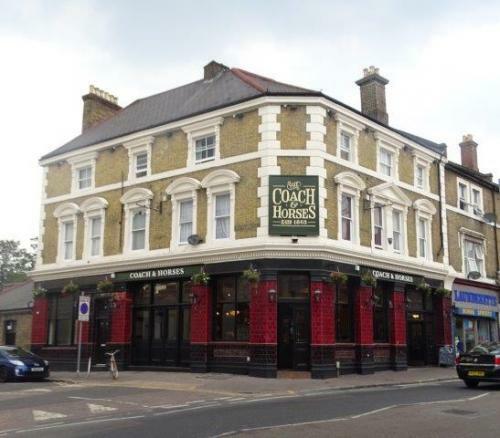 The pub is found in Leyton, Greater London, E10 5NA. A large, high street pub which was present in the centre of Leyton by 1863. As with many pubs in this area it was a Savill Brewery house, which passed in due course to Charrington’s. It was rebuilt in its present form in 1879 and obtained a full licence in 1882, having previously been a beer house. It was one of the last pubs in the area to retain a separate Public Bar, the partition being removed in around 2000. The pub was allowed to become run down in recent years, but re-opened under new management in July 2018, much refurbished. Stripped back, the pub now looks very beautiful inside and out. There is a large front bar, with five handpumps and an equally large rear room (formerly occupied by pool tables and originally by snooker tables) which is intended to become mostly a dining room. Outside seating in rear yard.